This gun is 110 cm in length. 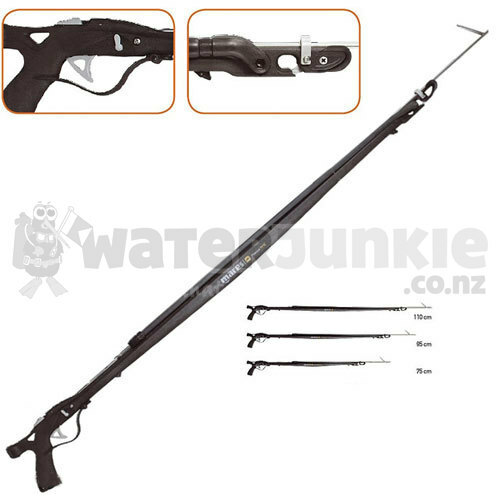 Single-piece speargun made of reinforced Nylon. Cuttlebone barrel and integrated shaft guide with special design for each barrel length to achieve perfect buoyancy. The material used absorbs vibrations to make the weapon noiseless. 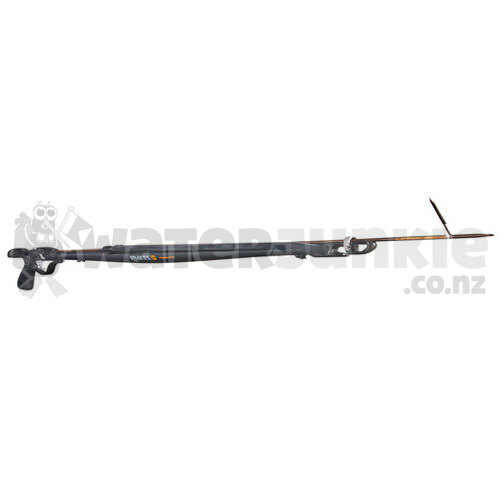 The highly-sensitive stainless steel trigger mechanism is also suitable for use with powerful dual slings. High performance 19-mm S-Power circular sling and articulated wishbone. Tempered 17-4PH stainless steel, 6-mm diameter shaft, single barb.